Bottom of the ninth inning. Two outs. Full count. Score tied. Runner on third base. I stepped up to the plate, planting my cleats into the clay. Getting into my batting stance, I faced the pitcher — glaring at his eyes as I loosely gripped the wooden bat and anticipated the pitch. Would it be a fastball, careening down the middle, or would it be a curveball, spinning toward home plate? Whatever type of pitch, I needed to be ready for anything. The pitcher wound up and threw a stinging, 90-mile-per-hour fastball. My favorite kind of pitch. Taking one step forward with my left leg, I forced my body’s entire strength into slugging the ball airborne toward the wall. The wooden bat cracked like a splitting timber, and, upon contact, my teammate lunged off third base like a sprinter. The fans quickly rose from their seats and cheered as they saw the ball sail over the fences. Home run. Game won. I’m a former professional baseball player for the Boston Red Sox, having played with the organization as an infielder from 1978-1980. There was nothing better than playing for my hometown team and learning from some of the Sox’s greatest players, such as Ted Williams and Carl “Yaz” Yastrzemski — legends I grew up watching as a kid. My love for baseball began when I was a little kid. I loved being outside and playing catch with anyone who would toss a ball with me. If I could field a few grounders from someone, even better. My Little League years in Westwood, Massachusetts, turned into collegiate years at the University of Maine in Orono, playing the infield. I was drafted by the Red Sox in June 1978. I’ll never forget that moment, sitting around the kitchen table with the Red Sox scout and my entire family, including my grandfather — a huge Sox fanatic — as I signed my contract with the team. It was an unbelievable feeling of elation as I began turning a passion into a career. Playing professional baseball created more memories than I could’ve imagined. I’ll never forget when Ted Williams helped me improve my swing (“Keep your head still, use your hips, and swing with a slight uppercut,” he said to me), or when I watched Yaz take batting practice in the cages at 8 a.m. at spring training after more than 20 years in the big leagues. These experiences helped me learn a lot about teamwork, dedication to your job, practice, and not taking anything for granted. At the end of the day, it took the whole team to secure the victory — and that’s true in my career today. When it came time for me to hang up my jersey, I naturally gravitated toward working in sales. Sales is just like baseball — it takes an entire team to nurture prospects or strengthen client relationships, it mandates hard work to achieve the required results, and it creates a journey that’s thrilling to pursue. Over the course of my 25+ years in sales, I’ve found that success lies in drafting the best team. For me, it’s all about finding the right players who understand what their job entails and what it takes to achieve goals. When I recruit players for my team, I make sure they’re coachable. Will they put in a lot of preparation? Will they be organized in their work? Will they have the energy — and the passion — for their prospects, their customers, and their company? Are they open to feedback to help improve their performance? Most importantly, they need to be a team player. They must be willing to help other members of the team improve their skills and undertake any tasks asked of them, no matter if those initiatives seem too small or outside their job description. My team is only as good as the people on it. They’ll have opportunities to thrive and take on more challenging initiatives, and they’ll have opportunities to learn from their mistakes. That’s the thrill of the chase. 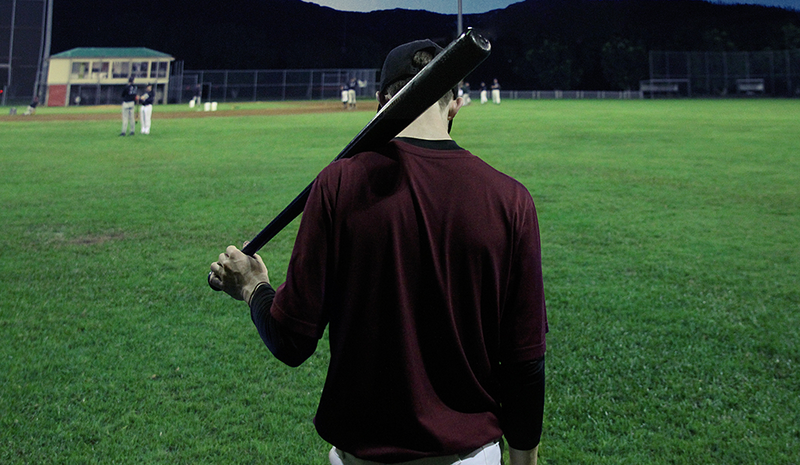 In baseball, striking out is part of the game. In fact, I’ve struck out more times than I’ve gotten on base. That’s life. What makes the biggest difference is a positive attitude. After all, a batting average in the 300s is considered excellent in baseball — and that equals hitting the ball roughly 30 percent of the time when at bat. To attain the highest possible batting average, sales teams always need to prepare as much as possible. They’ll need to study everything about prospects or customers to understand their business models, their company objectives, their competitive stances, and their market strategies. I’ve found that the more you can anticipate in advance, the more you’ll “connect” when entering the batter’s box — meaning, the more you’ll get on base and the more of a successful you’ll become. In today’s highly competitive environment, it’s crucial to gather as much information as possible to perform at the best possible level and deliver to prospects and customers. I can’t even begin to count how many times I relied on leaders to help me improve my game — like that time Ted Williams taught me to improve my swing, or seeing Yaz’s dedication to his craft in the cages after all those years. It’s players like Williams and Yaz who can help turn good players into great players by sharing what they’ve learned about the game. While practice is an essential element of success, mentorship is an even more important component. When we’re faced with high-pressure situations — like stepping up to the plate with the game on the line, pitching a marquee prospect, or leading an important client meeting — I tell my team to practice every part of the game, including the areas that don’t naturally come easily. One simple way to do this is by finding a mentor — someone whose business and leadership skills you admire. Proactively seek them out and let them know that you want to become better at prospecting, account management, or client relations — whichever skill you want to hone. Don’t think that you have to do it all yourself. Mentors and leaders are here to help. They’re here to coach you to victory. If you’re willing to practice — and rely on the wisdom of the leaders you aim to follow — you’ll be able to hit home runs and develop an all-star sales career. Step up to the plate, face the pitcher, and swing for the fences. Jimmy Fabiano is a managing director, enterprise solutions, for Bullhorn. Jimmy Fabiano is a managing director, enterprise solutions, for Bullhorn, the global leader in CRM and operations software for the recruitment industry.